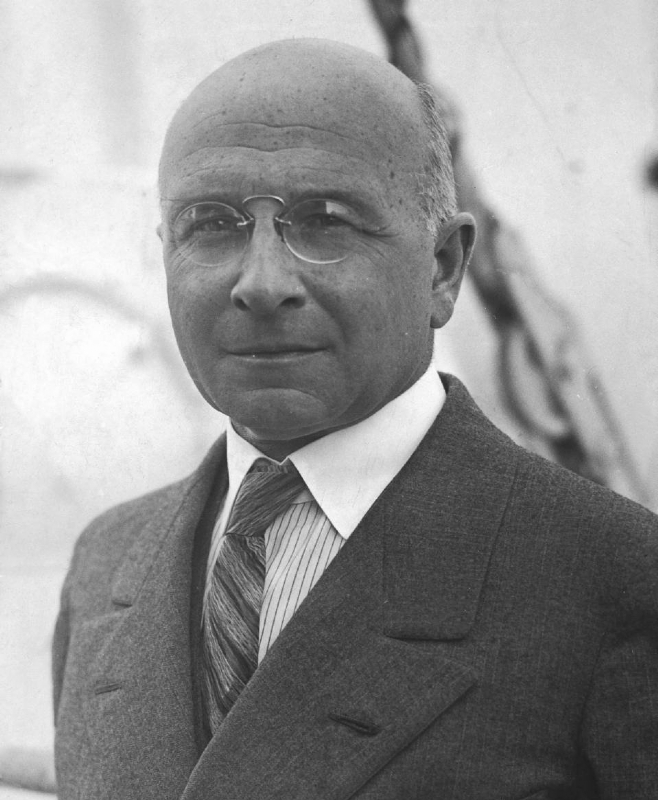 Alexis Carrel was a famous Scientist from France, who lived between June 28, 1873 and November 5, 1944. He became 71 years old. He has developed several new techniques in vascular sutures and was a pioneer when it came to the transplantation of organs and thoracic surgery. Alexis Carrel was also a member of several scholars companies in the U.S., Spain, Russia, Sweden, the Netherlands, Belgium, France, Vatican, Germany, Italy and Greece, and he received honorary doctorates from, among other things, Queen's University of Belfast, Princeton University, Brown University and Columbia University. Carrel received his medical degree from the UniversitÃ© de Lyon, he practiced as a surgeon in France and the United States at the University of Chicago and the Rockefeller Institute of Medical Research. He collaborated with the American physician Charles Claude Guthrie on the work of the vascular stitches and when it came to the transplantation of blood vessels and organs between people. He is born under the zodiac cancer, who is known for Emotion, Diplomatic, Intensity, Impulsive, Selective. Our collection contains 20 quotes who is written / told by Alexis. "Science has to be understood in its broadest sense, as a method for comprehending all observable reality, and not merely as an instrument for acquiring specialized knowledge"
"Religion brings to man an inner strength, spiritual light, and ineffable peace"
"Man cannot remake himself without suffering, for he is both the marble and the sculptor"
"Like hatred, jealousy is forbidden by the laws of life because it is essentially destructive"
"Intuition comes very close to clairvoyance; it appears to be the extrasensory perception of reality"
"In man, the things which are not measurable are more important than those which are measurable"
"Hard conditions of life are indispensable to bringing out the best in human personality"
"Everyone makes a greater effort to hurt other people than to help himself"
"Comforts and syphilis are the greatest enemies of mankind"
"All of us, at certain moments of our lives, need to take advice and to receive help from other people"
"All great men are gifted with intuition. They know without reasoning or analysis, what they need to know"
"A few observation and much reasoning lead to error; many observations and a little reasoning to truth"
"To what extent is any given man morally responsible for any given act? We do not know"
"Those who desire to rise as high as our human condition allows, must renounce intellectual pride, the omnipotence of clear thinking, belief in the absolute power of logic"
"The quality of life is more important than life itself"
"The most efficient way to live reasonably is every morning to make a plan of one's day and every night to examine the results obtained"
"The love of beauty in its multiple forms is the noblest gift of the human cerebrum"
"The first duty of society is to give each of its members the possibility of fulfilling his destiny. When it becomes incapable of performing this duty it must be transformed"
"The atmosphere of libraries, lecture rooms and laboratories is dangerous to those who shut themselves up in them too long. It separates us from reality like a fog"